Playmobil 9038 NHL Minnesota Wild Goalie - Chat Perché - Toys & Games! Age: 5 years old and up. Jump into the role of your favorite Minnesota Wild Goalie with this exclusive licensed Playmobil NHL figure! Stop all the shots on your net and get your team to the finals. 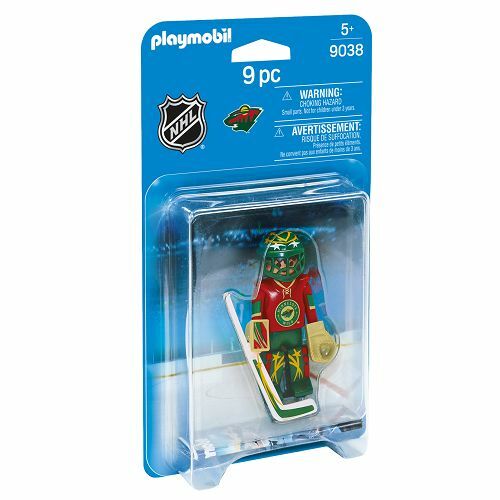 Jump into the role of your favorite Minnesota Wild Goalie with this exclusive licensed Playmobil NHL figure! Stop all the shots on your net and get your team to the finals.